​Mesut Özil's Arsenal future is in (further) doubt after he missed the weekend's 2-1 win over Huddersfield due to illness. The German has been in and out of the Gunners' side all season with injury niggles and illness problems – ruling himself out of last weekend's game with the latter, which has added to concerns around the club that they aren't getting value for money from the £350,000 they pay him every week. The Mirror report that the ​Gunners are troubled by the ongoing issues around the now-notoriously fragile playmaker, with the player's long-term wellbeing a clear and present issue; former manager Arsene Wenger even raising concerns about his immune system. 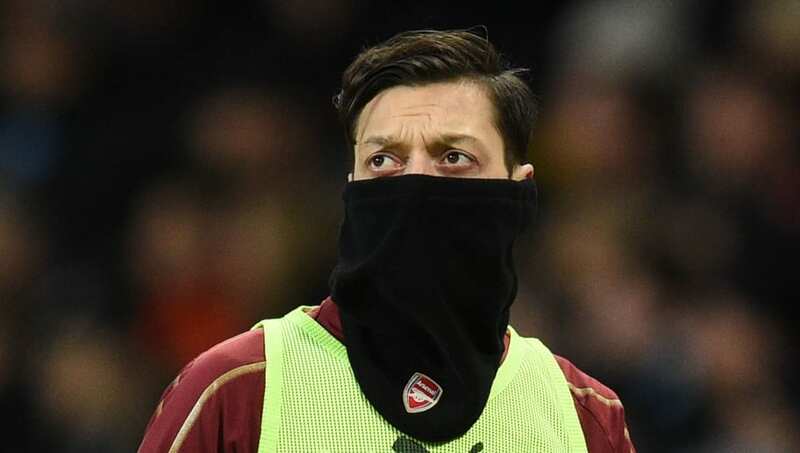 Emery took the decision to leave ​Özil out of his squad to face ​West Ham last month, hinting that he doesn't subscribe to the same valuation of the club's leading earner as the paymasters who granted his outrageously large contract extension just a year ago. Speaking after that game against the Hammers, Emery said: "We win with him, we lose with him. I think it is not one player [which means] we can't win or lose. Today the players who were here are the players who deserved to be in this match. We could've won or lost. We continue working with every player because they are all important, but today the decision was to come with these players." Earlier in the week it was reported that both ​Inter and Juventus had turned down the chance to sign Özil, even at a cut price, due to his prohibitively high wages. The 2014 World Cup winner could be in line for a return in Belarus on Thursday when Arsenal face BATE Borisov in the last 32 of the Europa League, with Emery under no pressure to field a weakened side as the ​Premier League takes a break on the weekend for the FA Cup – which the Gunners exited in the last round.